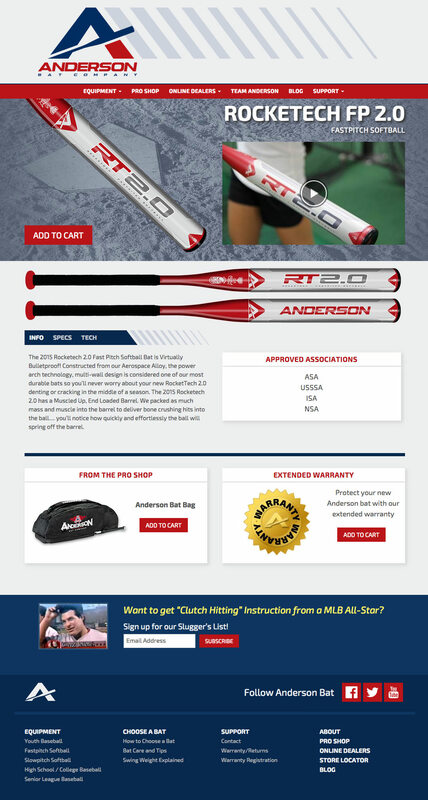 Anderson Bat Company is a sports equipment manufacturing company based in Orange County, California. 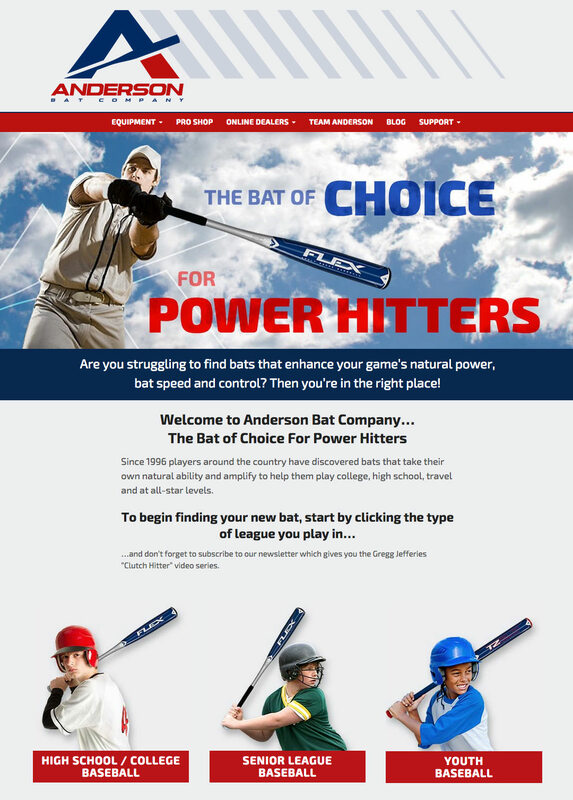 They specialize in producing signature bats for baseball and softball. My role in the project was to create a new web design. 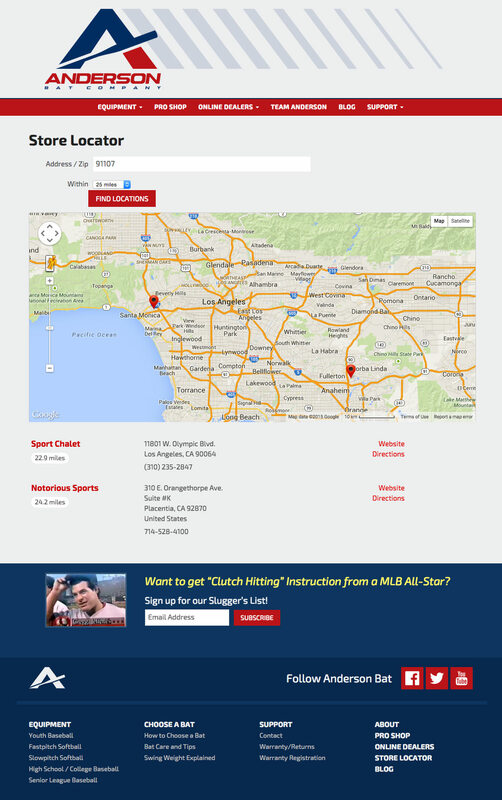 My responsibilities included creating a new user experience, designing a new look based on their marketing collateral and building an online dealer locator using Google Maps.